As promised last week I wanted to continue about the artist Tony Price (1937-2000). 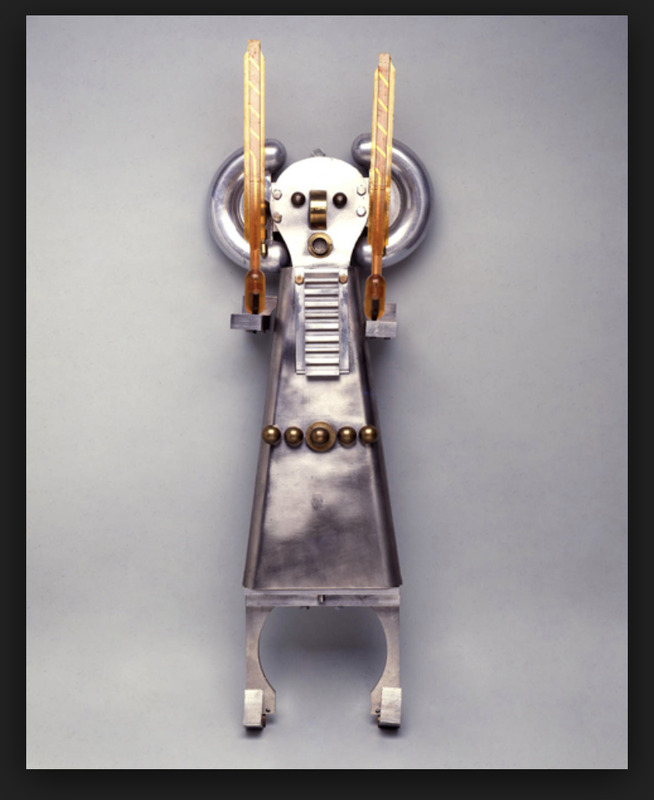 During what has become known as “The Atomic Summer” in Santa Fe, The Friends of Tony Price have put on an exhibition with about one third of the 150 works which were still in the artist’s studio after his death. The Friends formed a Not for Profit with the goal of realizing Price’s dream of having a space in Santa Fe devoted to his work. 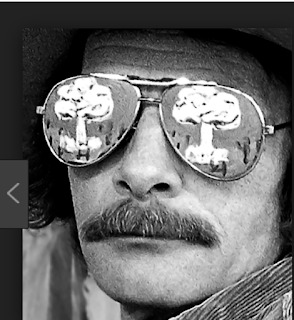 He was an activist against Nuclear Power and felt that was what his work was all about. Not a great deal has been written about Tony Price and not all of it is consistent, so this Missive is put together from interviews, articles and a catalogue for the exhibition “Tony Price Atomic Art at the Museum of Fine Arts in Santa Fe in 2004. 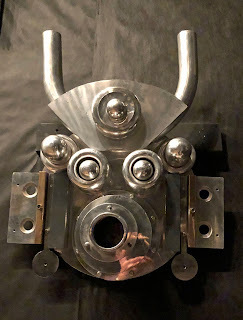 The artist is quoted in the catalog as saying, “The nuclear sculptures shaped into our American Indian Kachina masks – the spiritual energy images – plug into the vast amounts of native Indian energy lying stored up in the Americas for centuries.” Here is the piece Price named "Nuclear Hathor". Price was born and grew up in Brooklyn and Pelham, New York. In spite of his father being a stock broker he was drawn to the arts and started by selling painted kites on the streets of Greenwich Village. He was for a time in the Marines and when he got discharged in 1960 started to travel. According to the President of The Friends of Tony Price, James Hart, Price wanted to go to Europe so he hopped a freighter where he found welding tools and scrap metal. He started to create huge sculptures on the deck. When he finished one the deck hands would get together and have a party ending by hoisting the sculpture up on a crane and tossing it over board. Returning to the States, Price first went back to Greenwich village and the Counter Culture scene there, and then on to the Haight Asbury district in San Francisco. At some point, probably during what became known as “The Summer of Love” in 1967, Haight Asbury became a dangerous place with drugs such as Crystal Meth taking hold so he moved, as did other artists, to New Mexico. By 1968 he found himself in Santa Fe, actually it was a small bedroom community 20 miles north of Santa Fe called El Rancho. It was also less than 15 miles from Los Alamos. Here he found the Zia Salvage Yard where he could pick up metal that the Los Alamos National Laboratory was discarding from its nuclear programs. It was not just from bombs but the machine parts that were used. Another attractive element was that he could buy the materials at the going price for scrap metal. He must have stock piled quite a bit because he continued to make what he called his “atomic sculpture” into the 1990’s though the Lab had subcontracted the disposal of the scrap and were no longer disposing of the kind of metal Price was looking for. 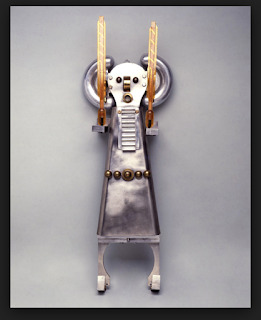 We originally were attracted to Price’s work by a sculpture in the New Mexico Museum of Art here in Santa Fe. It is titled, “Hopi Nuclear Maiden”. We did not need to read the label to know that it related to the Hopi art we were collecting. 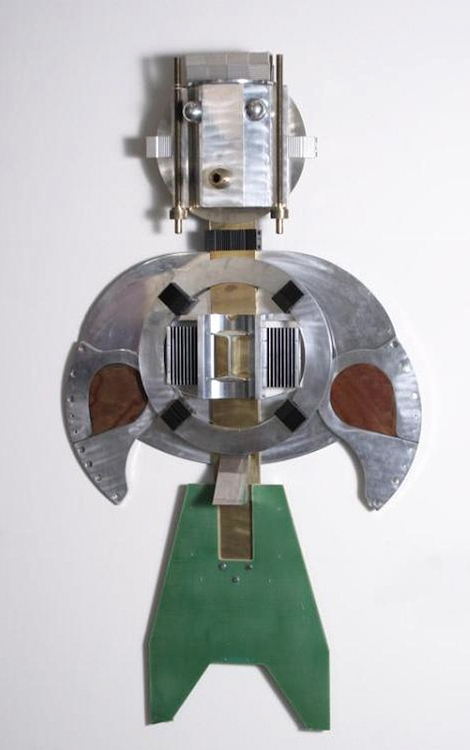 I was impressed by another very large mixed-media sculpture I saw in the permanent collection of the Albuquerque Museum called “Atomic Thunderbird”, 1994. One does not forget these pieces but as we know much art remains regional. I have never seen works by Price elsewhere, though we know he sold pieces to his friends and neighbors. Like many artists the creating of the art was all important to Price, and selling it was only to subsidize his habit of creating more art. We are now lucky to have an exhibition at the Phil Space Art Gallery on Second Street in Santa Fe (Monday to Friday 12:00-5:00). James Hart is also the proprietor. He sees himself as the bridge between The Friends of Tony Price and the current generation, since the original group are all the age that Price would be today. As said before Price always wanted to have a permanent space in Santa Fe where his work could be seen and that is the goal of the Friends. Price’s three children were quite young when he died and, though they have now dispersed, they agreed to follow through with their father’s wish. Here is a short video clip of the Atomic Sculpture exhibit at the gallery. I have to thank James Hart President helping me to get a more complete picture of the artist. Hart would very much like to find out what other material is out there. If anyone reading this would know of works by Tony Price in private collections I would be pleased to forward the information. The creation of a catalog raisonné would prove a great asset In gaining the recognition I believe this artist deserves. NOTE BENE: Last week I said that the government gave no funds to the Los Alamos National Laboratory for clean-up of nuclear waste and have been corrected. I understand that about 10 % of the funds given to the lab are given to a separate entity for such clean-up.